It’s 8:35 a.m. on a Tuesday, Penna Powers headquarters is dark and quiet as people slowly make their way into work. They walk into their offices and begin scanning through emails, easing into the relaxing morning, when out of the silence comes a sound so vulgar yet humorous that everyone jumps from fear and simultaneously laugh uncontrollably. The phone speaker system has just been fart horned by the only person in the Underground in so “early,” our resident superhero, Thor. Known for being reliable, speedy and incredibly talented, this designer has officially celebrated five years at Penna Powers. You can catch him working on projects for UDOT, Zero Fatalities, UCAIR, Utah Cancer Control Program and many more. Usually the first person in the building every morning and one of the last to leave at night, he is perhaps the most upbeat and positive guy in the Creative department. Even after a long day staring at a screen, he’s one of the first to volunteer or join in on the staff extracurriculars, participating in our MS Ride, Summer Games and most notably as the secret weapon on the agency’s soccer team. In his spare time, you’ll find him combing his long golden locks, heading into the mountains to climb, hike or camp, building fires with his bare hands or listening to an audio book while cuddling with his best friend… no, not Tyson… Kiki, his cat. He’s the type of guy you can always count on and is so crafty he’ll literally build props for photo shoots to ensure the job gets done right. 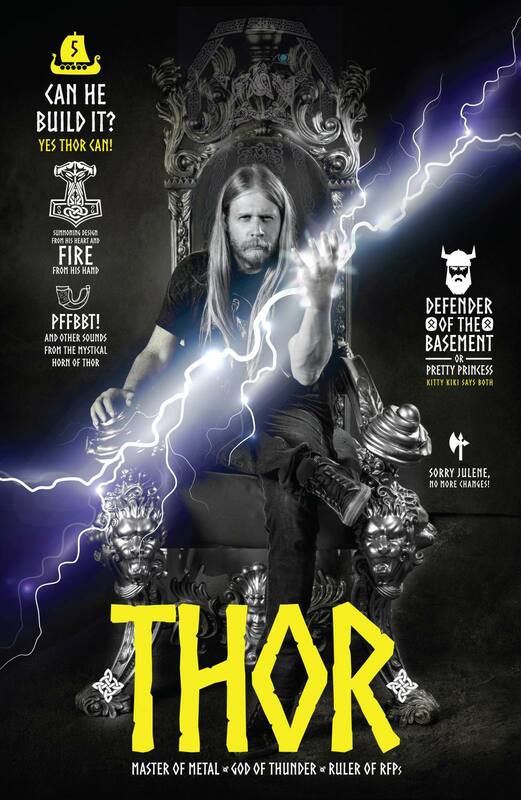 We’re lucky to have had the opportunity to work with Thor for these past five years and look forward to many, many more. Thanks for always putting a smile on our faces and providing such stellar work! Congratulations! I can’t believe it’s been five years!